According to accounting firm Deloitte, five “super-growth" sectors comprising agribusiness, gas, tourism, international education and wealth management could add a quarter of a trillion dollars to Australian national income over the next two decades. Their report Positioning for prosperity? Catching the next wave suggests these five industry sectors may be the answer to the end of the mining boom. So what happens when you bring two ‘super-growth’ sectors together? Agribusiness + Tourism = an exciting Agritourism partnership! Agritourism is about more than just food and farmer’s markets, it is about connecting city and country. It is about inviting our city friends into the lives of our farmers and rural communities; providing them with an educational experience that allows them to connect and engage with agriculture and Australia’s ‘salt of the earth’ people. Agritourism will allow Australia to rebuild the profile of rural communities, whilst at the same time providing visitors with an educational experience that allows them to connect with the real Australia, and live the life of an Aussie farmer. There are many great existing agritourism experiences throughout rural Australia, with many more opportunities expected to open up over the coming years. This remote resort on a rural sheep station is 12 km from Flinders Ranges National Park and 37 km from the town of Hawker. Initially devoted to sheep shearing, the station ventured into tourism in 1968, when the first cabins were opened and sheep shearing demonstrations began. Rawnsley Park Station has been transformed from a small, struggling sheep station into an award-winning tourism facility that attracts 20,000 visitors each year. Though tourism is today the main industry on the property, the station still runs 2000 sheep. Evidence of the station’s history is in the restaurant, which is housed in the original woolshed. Lodging options range from the homestead to eco-villas to holiday units and a caravan park. Activities include hiking, mountain biking, farm experiences, scenic local flights and 4-wheel drive tours (fees apply). Visitors experience a weekend of authentic country life at the Felton Food Festival. Held annually, the festival is a showcase of the agricultural production that the Felton Valley is famous for. While the food is king, there are plenty of other activities to take part in over the weekend. Families, friends, farmers and food lovers can take a farm tour on Saturday and indulge at the Twilight Dinner with celebrity guests on Saturday night. Sunday is festival day where visitors mingle amongst the wide range of market stalls, take a crop tour, meet a local farmer, take in a cooking demonstration, learn about the paddock to plate process, enjoy live entertainment and relax in the country atmosphere. In 2017 the Felton Food Festival joins in the celebrations of the World Science Fair, and festival activities and stalls will showcase how science is changing agriculture to educate and captivate visitors and celebrate the future of farming. Meet the Walker family on their Longreach property as you experience a working sheep and cattle station. Walk through the historical homestead gardens shearing shed and cattle yards then tour the farm after a scrumptious smoko. Attractions on the station include the artesian spring, Longreach's highest lookout, a swagman's grave, the historic 'dry bottom' Chainman's Well, the 'Queen's Path' where Queen Elizabeth II walked, and the oldest private ballroom in the Outback. Elm Cottage is set on a backdrop of unique Australian plant and wildlife and the sublime landscape that is the Snowy Mountains. 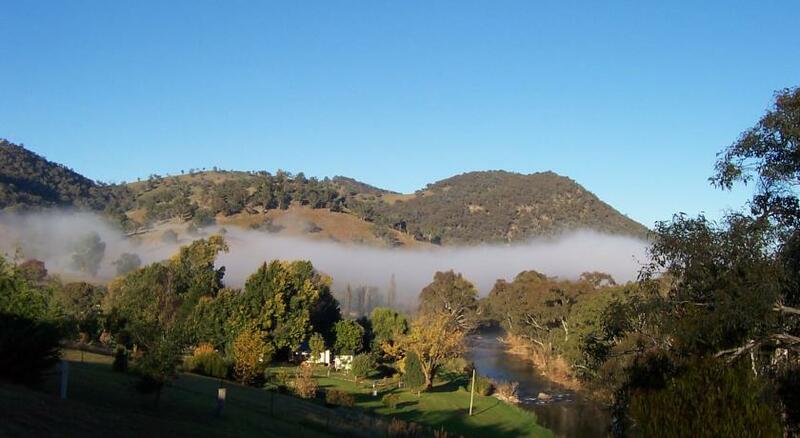 Guests enjoy peaceful walks along the river bank, fish for trout, take a dip at the private beach, and when the sun sets, stargaze into the crystal clear skies, before falling asleep to the whisper of the Goobarragandra River below. The property is home to wombats, echidnas and platypus, all living in their natural habitat. Other activities include wine-tasting, bushwalking, campfires and BBQs and horseback riding. There are also fishing trips to the best local spots, ultra-light flights over the scenic Snowy Mountains regions, or, to simply relax in one of the country cottages, a breakfast or lunch hamper, filled with local produce and wines. Junee Licorice and Chocolate Factory is located at the restored Junee Flour Mill, a historically rich landmark in the rural township of Junee, New South Wales. The Factory produces a rapidly growing range of innovative, certified organic confectionaries increasingly being found in shops around Australia and overseas. Junee Licorice and Chocolate Factory is operated by Green Grove Organics, a family operated farm based enterprise that has been practicing organic farming since 1962. Green Grove holds Level “A” Organic Certification through the Biological Farmers Association of Australia. There’s nowhere quite like Outback Queensland and there are few places that have been as inventive as Longreach in creating great outback experiences for visitors. Here, you can experience a real taste of what life was like for the early pioneers, and discover the pioneering ingenuity, humour and resilience that still lives on in the outback people. Your hosts for an outback pioneer experience are Kinnon & Co – a multi-award winning, family-owned business, which has grown out of deep respect for the early settlers and a love of the outback way of life. Guests can expect something unique when they stay in Kinnon & Co accommodation that brings the pioneer past to life and combines it with 21st century comfort. Hale River Homestead at Old Ambalindum is a station stay 135km northeast of Alice Springs, on the Binns Track in the heart of the East MacDonnell Ranges. Boasting some of the most breathtaking views Central Australia has to offer and close to many historical sites, Hale River Homestead offers grassed campsites with fire pits and hot showers, and secluded bush camps with peace, quiet, and wide open spaces, or if camping isn't for you, there are three self-contained properties; The Old Homestead, The Cottage, and the budget friendly Bunkhouse. Taunton Farm is a farm-themed park right in the heart of the Margaret River wine, food, nature and surf region of Western Australia. Guests base themselves in the park to explore nearby caves, wineries, surf beaches, whale watching cruises and much more around Margaret River and Cowaramup, but return to feed the farm animals in the peaceful rural environment. As a board member of the Australian Regional Tourism Network (ARTN), our Managing Director Linda Tillman is managing the joint agritourism project between ARTN and the National Farmers Federation (NFF). This is an exciting project that will see leadership and vision around the development of this experience in Australia.